Like many people, Dr. Alisa Koenig came to alternative veterinary medicine through her own animals. “Before I went to Veterinary School at the University of California at Davis, I treated my competition horse Corey with Homeopathy when her mane and tail were falling out. 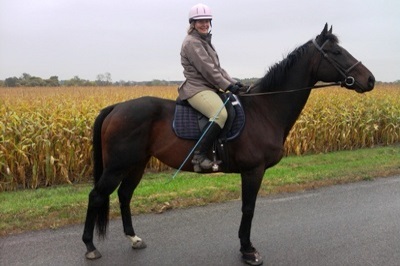 I was tired of all the drugs and chemicals routinely used to treat problems, having recently experienced negative effects of steroids that were prescribed by a vet for a tendon problem; I was ready to follow a safer, more effective course for my horse and my other animals. I was amazed by the results, so much so that, as soon as I graduated from Vet School and while I was working as a veterinarian in several Buffalo area conventional clinics, I studied veterinary homeopathy with Dr. Christina Chambreau and Dr. Richard Pitcairn. Western and Chinese Herbal Medicine and Acupuncture courses followed. Now I have a 100% holistic veterinary medical clinic practice that has not only thrived in Western New York, but has grown and expanded. “In March 2013, a second Veterinary Alternative office was opened in Avon, New York; the first office was opened in East Aurora in 1998. Dr. Alisa Koenig graduated from the University of California at Davis School of Veterinary Medicine in 1995 and then moved to Western New York to begin practicing veterinary medicine. 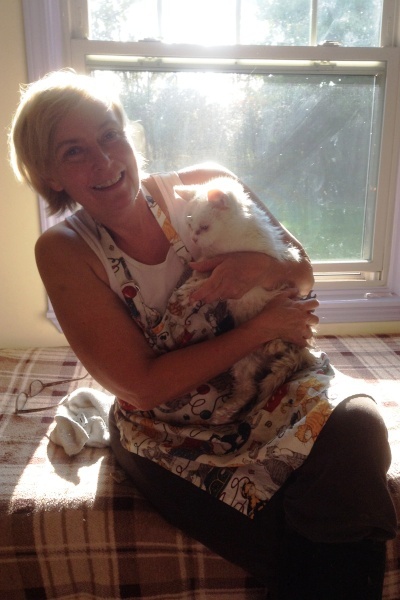 She treats dogs, cats, horses, cows and any species where alternative therapies are desired. Her interest in alternative therapies preceded veterinary school, when her horse suffered serious health problems that conventional medicine could only partly help. Alternative therapies completely saved the day. Throughout veterinary school, Dr. Koenig studied Homeopathy, and after veterinary school she continued post-graduate study in homeopathy with Dr. Richard Pitcarin; Chinese Acupuncture through the International Veterinary Acupuncture Society; Chinese Herbal Medicine through the Chi Institute; Western Herbal Medicine with Drs. Steve Marsden and Susan Wynn and Postural Rehabilitation with Drs. Karen Gellman and Judith Shoemaker. Dr. Koenig is continually striving to bring new modalities into the practice and further her education to help her patients attain their optimum health and wellness. She has also completed training in cold laser therapy and has completed comprehensive courses for spinal manipulation therapy.